Sage X3 and Sage 100 clients are now transacting over $3 billion annually in mobile sales and delivery transactions using xkzero solutions. Our client are nearly 100% reference able, and we believe that xkzero is the clear leader for this kind of technology in the world of Sage. 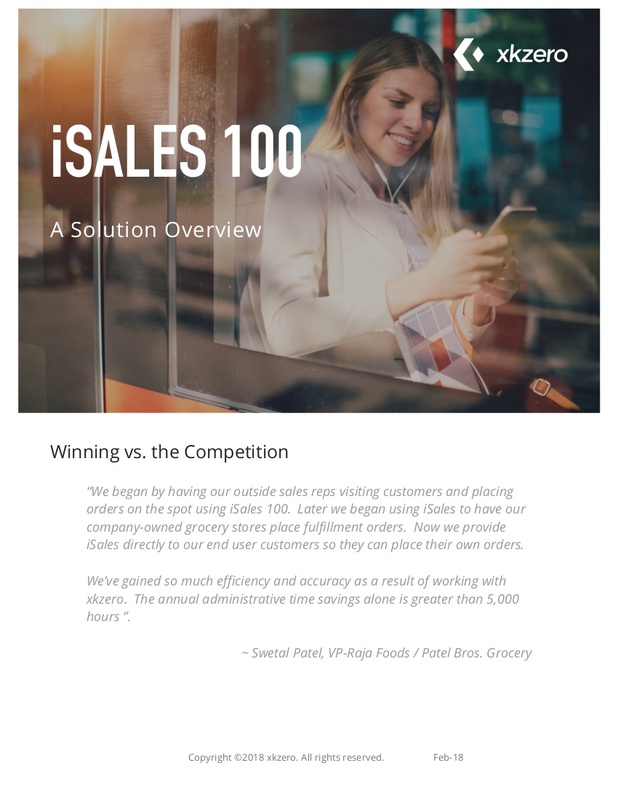 iSales 100 - the mobile sales leader for Sage 100.
iSales 100 is the most powerful, flexible and reliable mobile sales solution for wholesalers and manufacturers using Sage 100. In fact, it's built exclusively for Sage 100 by Sage 100 experts, meaning it is simple to install and easy to learn and start using. In fact, anyone can download a free trial of iSales 100 from the Apple App store. A great approach would be to survey your install base among all of your wholesale and manufacturing clients as any of them may have these needs. As you can see, we've created landing pages for each of the business use cases above to give the clients a taste of how iSales 100 can help them. Already using Sage 100 for your accounting and ERP? 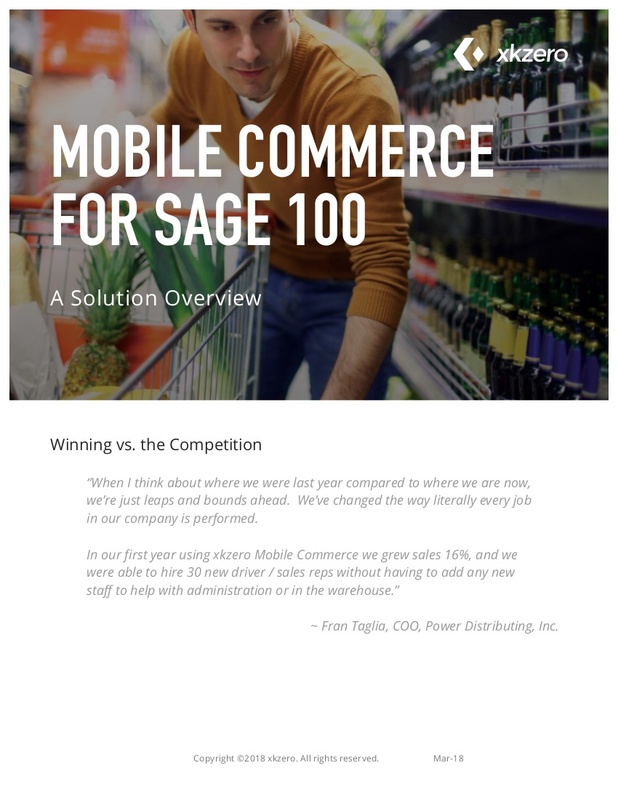 iSales 100 is a perfect mobile Sage 100 companion to help grow your business through any interactions your staff may have with customers when away from their computers–customers can even use the app to order directly from you! 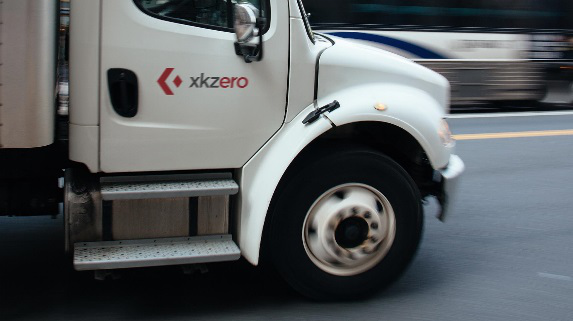 xkzero Mobile Commerce (XMC) is a whole new technology platform designed to handle the unique demands of wholesale distributors and manufacturers who distribute, sell and deliver their products using their own fleet of vehicles. Many industries, like food and beverage and other B2B consumer packaged goods providers refer to these processes collectively as Direct Store Delivery (DSD). Xkzero Mobile Commerce has been extremely successful helping companies with DSD automation grow revenue, improve margins and greatly reduce administrative costs and time. From our blog page, here is some useful information for better understanding the reach of DSD technology and processes. What is Direct Store Delivery? From route planning to truck loading, route sales & delivery automation, DSD can be game changer technology. Here's a primer. XMC is best targeted by Industry as they each work a little bit differently and require different aspects of DSD technology to be successful. We're in the process of rolling these out. If you are trying to win new X3 or 100 deals in these industries it is vital to go in with DSD in mind - these companies will most likely need it - and for many of them the selection of the DSD is more vital than the selection of the ERP. We have been successful helping win Sage X3 deals against Just Foods and other ERPs that do not have the same kind of truly integrated DSD solution we can offer them with xkzero Mobile Commerce. Mobile delivery (DSD), distribution, and sales app, helping midsize and growing small businesses grow and prosper.